Description: A smaller version of the Warrior, designed by Bob Taylor. 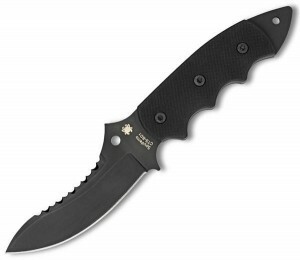 This retains much of the functionality of the original, with higher end G-10 Handles and an interesting CTS-BD1 Steel blade, which not the strongest performer for edge retention. Given this is a self-defense knife that one would unlikely be using day-in-day-out, maybe that’s a moot point. 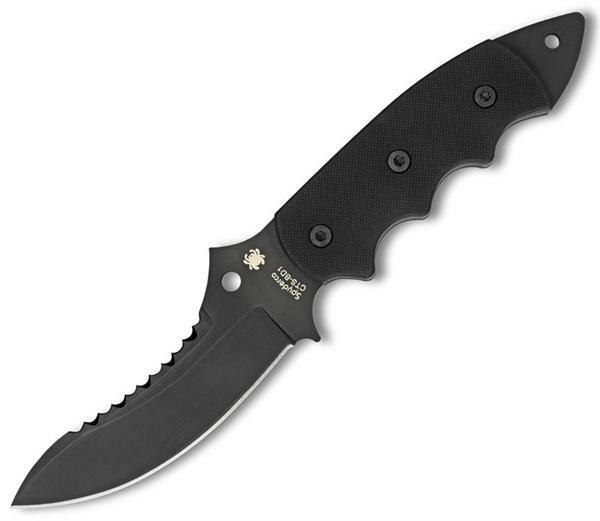 This entry was posted on Friday, September 21st, 2012 at 5:54 pm	and is filed under 4" or Larger Knives, Designer - Bob Taylor, Features - Black Coated Blade, Features - Screw Construction, Handles - G10, Manufactured - USA, Steel - CTS-BD1, Type - Fixed Blade, Type - Martial Blade Craft, Type - Self-Defense Knives. You can follow any responses to this entry through the RSS 2.0 feed. You can leave a response, or trackback from your own site.